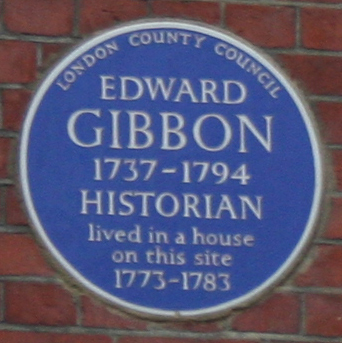 Edward Gibbon (8 May 1737 – 16 January 1794) was an English historian and Member of Parliament. His most important work, The History of the Decline and Fall of the Roman Empire, was published in six volumes between 1776 and 1788. The Decline and Fall is known for the quality and irony of its prose, its use of primary sources, and its open criticism of Christianity. He was educated at Westminster School. He died of peritonitis in London. His attack on Christianity caused several opponents to publish pamphlets against him. 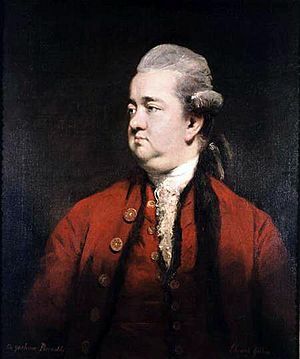 Gibbon defended his work with the 1779 publication of, A Vindication ... of the Decline and Fall of the Roman Empire. In the mid-twentieth century one author said that "church historians allow the substantial justness of [Gibbon's] main positions". Edward Gibbon Facts for Kids. Kiddle Encyclopedia.